When you’re getting ready to go on safari there’s so many things to think about – from what to wear, to the vaccinations and medical side, to visas, transport and accommodation – that the issue of what camera to take can, understandably, get pushed to the back of the line. This is especially true if you’re thinking of buying a new camera for your safari trip – questions around what brand, what capabilities and what spec you’ll need can be overwhelming. So let me make it simple for you! 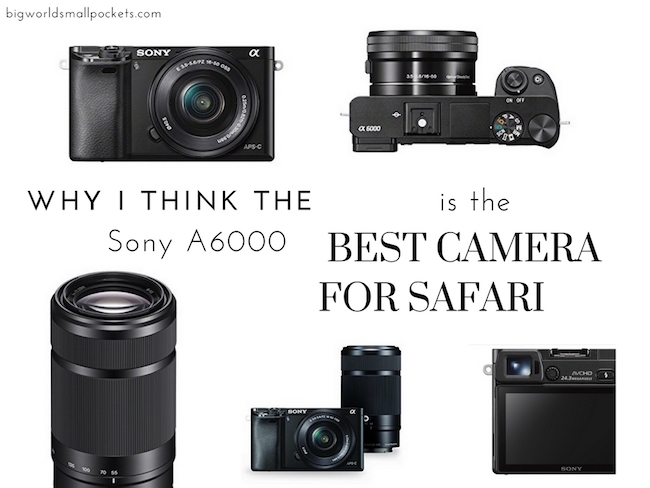 The Sony A6000 Mirrorless Camera is the best camera for safari! Having just bought this camera myself before embarking on my recent safari trip in Southern and East Africa I totally think this is a great option. Especially if you’re new to photography like me, I found this camera both easy to use and great to learn as well as develop my skills with. I’m by no means a professional photographer, in fact I’m just beginning to work more on this side of the blog, so don’t expect a full technical review of the camera here. 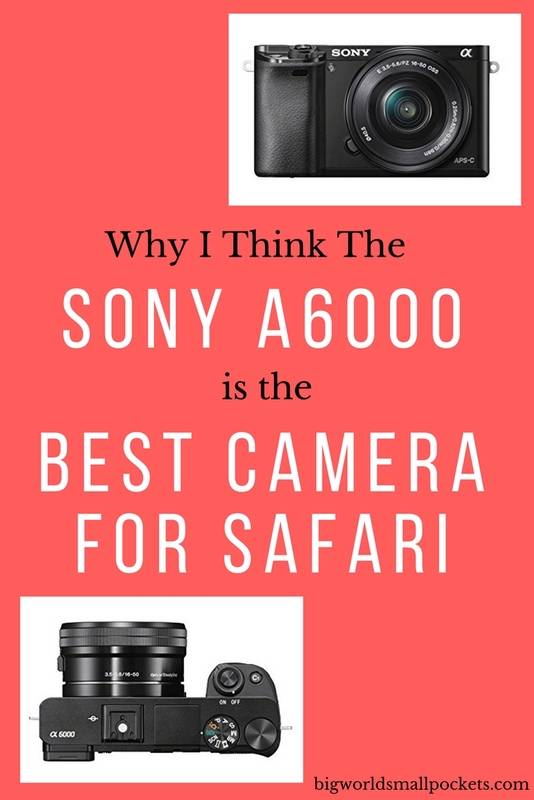 Instead, this is just an explanation of why I really enjoyed photographing with my Sony A6000 in Africa and why I think it’s the best camera for safari, especially for beginners. 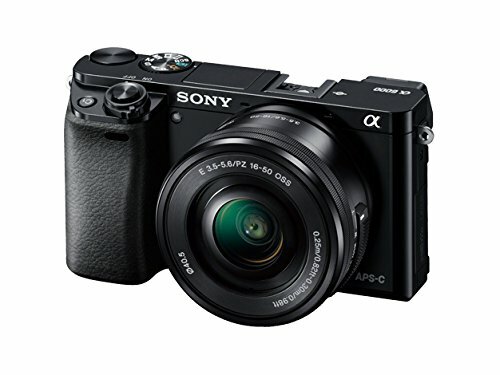 The Sony A6000 is a mirrorless interchangeable lens camera, which has a smaller body when compared to a traditional DSLR. Weighing just 468g, it’s lightweight, and at just 120 x 67 x 45 mm, it’s pretty compact as well. 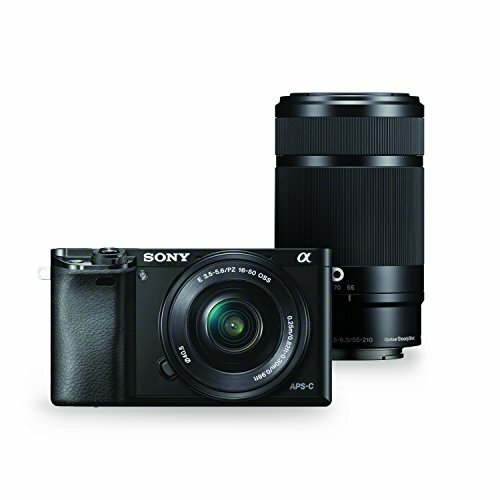 This makes the Sony A6000 perfect for safari travel, when keeping things small and low in the weight department is a great advantage. Easy to pop into a carry-on bag for air travel or a daypack for safari excursions, I really like the sleek design of this camera compared to the bulkiness of many DSLR’s. It makes taking photos more conspicuous and more enjoyable in my opinion as well, which is exactly what you want on a safari adventure. Although not waterproof, the Sony A6000 is durable and feels solid in your hand. 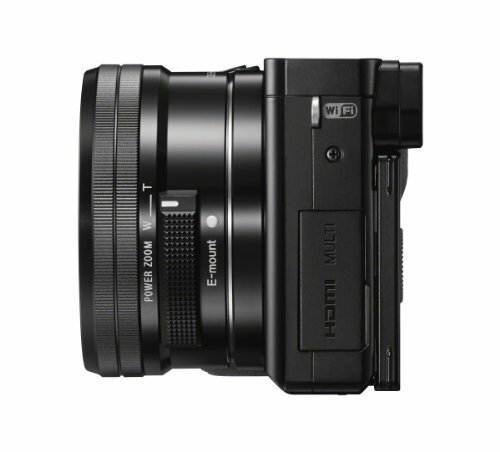 This is great for safari, when dust and bumps are part of the experience and you’ll need a camera with a little bit of resistance to handle the great African wilderness. 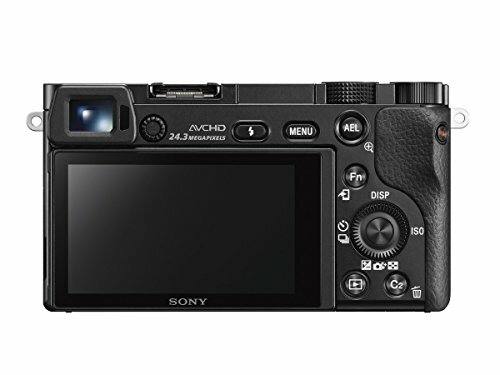 The eye-level viewfinder and articulating screen of the Sony A6000 complete this sturdy-feeling camera body; it feels robust, which is great when dealing with harsh environments. Tip: Buy some $20 UV Filters for your lenses to protect them – they’ll be cheaper to replace if scratched or damaged on your safari! One of my favourite things about the Sony A6000 is the inbuilt wifi facility. This means even in the remote Africa wilderness, I was able to transfer images from camera to my phone and edit them with the use of the wonderful Snapseed App. With my SIM card, I was then able to upload my images straight away to my social media – a godsend for bloggers… oh and those that want to show off to their friends of course! My Sony A6000 came with a 16mm-55mm lens. While good for landscapes, I obviously wanted a more powerful zoom lens for my safari trip. However, the size of this had to be balanced against both weight, size, bulkiness and cost. 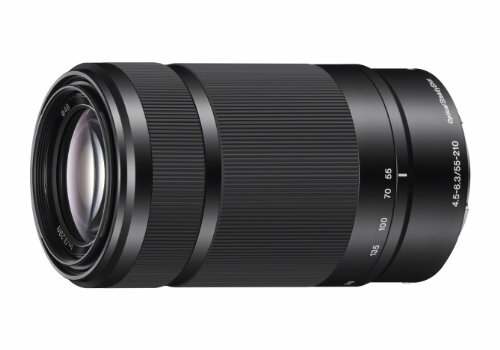 As such, I settled on the Sony Powerzoom 55-210mm lens. I was really happy with this choice and I managed to capture some beautifully detailed wildlife shots. It was small enough to put in my daypack, light and easy to attach/detach and not expensive as lenses go. I find the settings very easy to use on the Sony A6000 and loved the simplicity of adjusting the exposure, f-stop and shutter speed quickly between different safari shots. This really improved my photo skills over the course of my trip, as I got to experiment and hone my skills easily. Generally shooting on Aperture, it was simple to move the dial and shoot on Shutter for fast moving animals. I loved the speed of the Continous Shooting mode (11 frames per second) which was great for capturing the running cheetahs and the AF-C setting (continous focusing) was ideal for tracking wildlife too. I also like that the Sony A6000 can be charged via USB – this is ideal for safari shooting, when recharging a camera battery is as easy as plugging it into a portable powerbank or the 12V safari car charger. 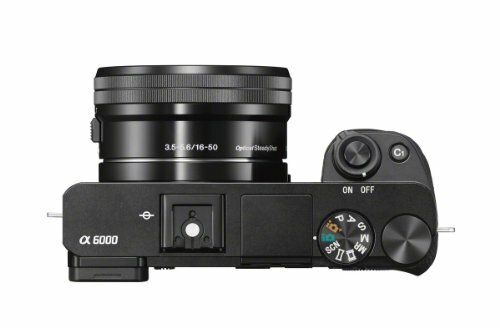 The Sony A600 also isn’t a hugely expensive camera either. For budget travellers it’s a great choice if you want to take some great safari shots without spending the earth. As well as the camera body, 2 lens and UV filters I’ve spoken about, I also bought a spare battery for my Sony A6000, cleaning cloths and a gorilla tripod. This really was all the kit I needed in order to get exactly the safari shots I wanted and still be able to backpack as lightly and as cheaply as I wanted. 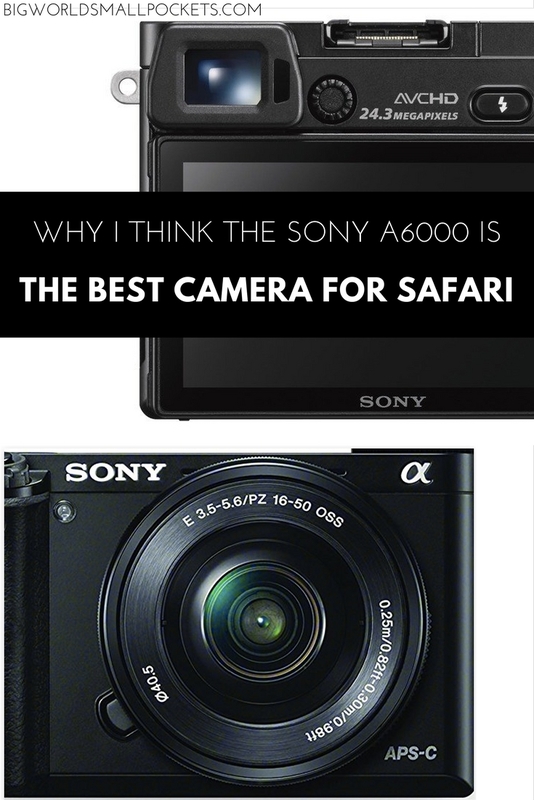 So that’s why I think the Sony A6000 is the best camera for safari! Hi Nathalie, grat question. I think it’s better to get your zoom lens ready on your camera before heading on safari I’d say. And always keep a cleaning cloth or brush with you. The dust can be ferocious. I found the 55-210mm size lens perfect for safari and in most instances you can get amazingly close to the animals. Thank you for the post! My wife and I are heading on safari in September and looking for something smaller than the large Nikon that I’ve been toting around. This looks like a perfect middle ground between our phones and a full size camera. Also, thanks for using EasyAzon. Always fun to see it in use on random websites that I visit. Where can I see some of the pics you took? I would like to see some examples your resulta! Thank you!!!! !